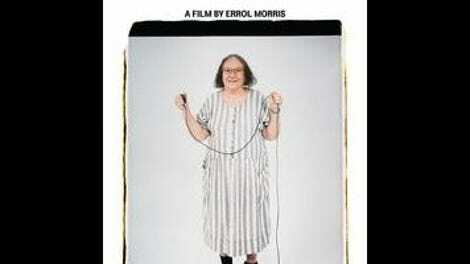 Over his nearly 40 years as a documentary filmmaker, Errol Morris has conducted in-depth, direct-to-camera interviews with criminals (both guilty and falsely convicted), grieving pet owners, Florida eccentrics, Abu Ghraib soldiers, eminent scientists (including Stephen Hawking), and not one but two men who formerly held the position of U.S. secretary of defense. Artists, however, have been conspicuous in their absence. Until now, the sole example to be found among Morris’ features was topiary gardener George Mendonça, who shares 1997’s Fast, Cheap & Out Of Control with two scientists and a lion tamer. 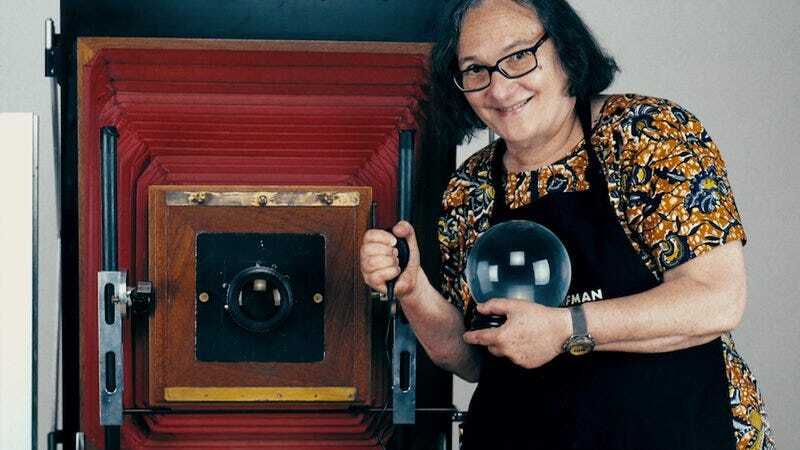 So it’s surprising to see Morris devote an entire movie to Elsa Dorfman, a portrait photographer best known for her regular use of Polaroid’s largest instant camera. Arguably, Dorfman would have made a better fit for Morris’ half-hour First Person TV series—even at only 76 minutes, The B-Side feels a tad overextended—but it’s a pleasure to see a warm, creative, and not even remotely evasive individual in front of his camera for a change. Certainly, Dorfman has had plenty of practice staring into a lens. Launching her career as a photographer in the ’60s, she began experimenting with the selfie decades before that word was coined; in lieu of the selfie stick, her photos frequently include the cord to her remote shutter release, stretching all the way across a large room and bisecting the frame—an ostensibly ungainly intrusion that she tells Morris she rather liked. Other topics of discussion include her unlikely journey from stereotypical “nice Jewish girl” to the center of the counterculture, kicked off when she met and befriended Allen Ginsberg (who would become one of her most frequent subjects); her modest yet proud assessment of her own achievements; and the very nature of photography. Morris himself wrote a book on that last one (Believing Is Seeing: Observations On The Mysteries Of Photography), and while his voice is only occasionally heard here, he clearly relishes this opportunity to talk shop with a fellow practitioner. Dorfman doesn’t have a pedantic bone in her body, but she’s nonetheless very articulate about what she does and why. That’s especially true when it comes to her work with Polaroid’s enormous (200 pounds!) 20-by-24 instant camera. Only half a dozen of these exist, and Dorfman has been renting one of them since 1980, creating professional-style portraits that look not unlike what you’d get at a department store, except much larger. The B-Side takes its title from her practice of shooting two photos and selling whichever one the subject prefers, keeping the reject for her own archives. Her ruminations about these “lesser” pictures, which she invariably finds more compelling than the hit side chosen by the subject, are the philosophical heart of the movie, but it’s nearly over by the time Morris finally gets there. Pleasant though Dorfman’s company is, her story might have been more effective juxtaposed against others, Fast, Cheap-style, perhaps as part of a larger treatise on the value of imperfection. As is, The B-Side feels a bit like a B-side itself: good enough to merit release, but probably just not strong enough to chart.